Here's a superb new online slot game from Eyecon gaming that you can play. No one would be able to help themselves from getting into a classical British heist and get away with collecting millions from all of the renaissance artefacts they could get their hands on. That is why so many online casino players can't help but give into the urge of loading up Eyecon's slot game, Beat the Bobbies, on their screens. For over 20 years, Eyecon has been providing a number of unique and exciting gaming products to the casino industry, which has etched them a high position in the list of top iGaming developers of this generation. Because of the amount of work that they put into their products, many TV Studios and third-party game suppliers are always happy to showcase the Australian developer's products whenever they release a new product. And because they keep up to date with the new technology that everyone is using in today's world, their games gain a high reputation for their sharp graphics and smooth gameplay. 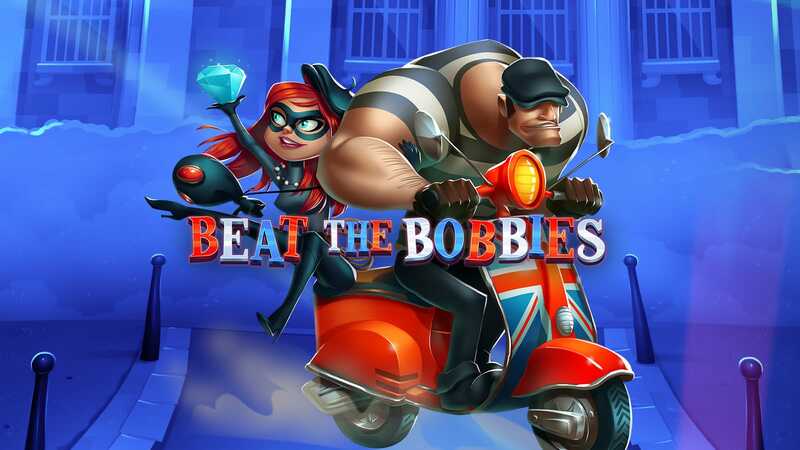 As you may know from all of the books and films that are based on avant-garde heists, Beat the Bobbies is filled with a number of obstacles and routes that only the most skilful thieves can manoeuvre over. But in this game, the obstacle and routes would be placed on 5 reels in the form of characters that you will come across. There is no complication or hassle in getting the jewel prize that you have your eyes on, though. 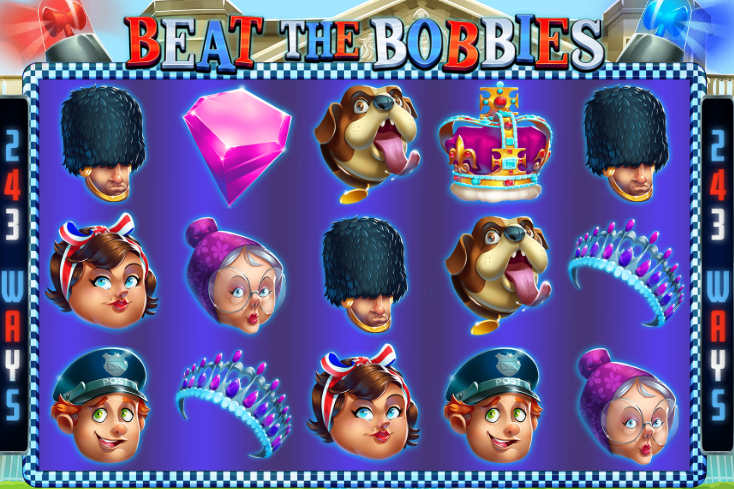 The icons that will aid you in your task to reach the jackpot are the common base symbols that you'd see in most slot games. Getting a match of 3 identical icons on the paylines will give you a hefty payout, and having the menu at the corner of the screen will let you know how much value each of the base symbols has. Yes, the bobbies will be on the hunt for you, but after knowing that they are WILD symbols, you'll want them to come after you, along with the SCATTERS that will be on your tail! Bobbie WILD: Found on the 2nd, 3rd, and 4th reel, they replace all of the base symbols except for the Stacey SCATTERS. Stacey SCATTERS: Find yourself with 3 or more of these icons on any of the reels and you'll activate the BONUS FEATURE. BONUS FEATURE: You'll get to choose how many free spins and multipliers attached to the SCATTERS you want, and you can trigger this feature 15 times in 1 game. Are the words 'Rule Britannia' ringing in your ears? Well, they should be, as that is a sign you need to play Beat the Bobbies when you get some time to yourself today. The cluttered screen filled with your allies and bobbies will definitely keep you on your tiptoes, which is exactly what you need to boost the adrenaline in your veins. But as mentioned before, this isn't your usual cops and robbers game. So, if you want to try an steal a precious jewel from a museum in style, load up this game and place a bet on your screen right now!